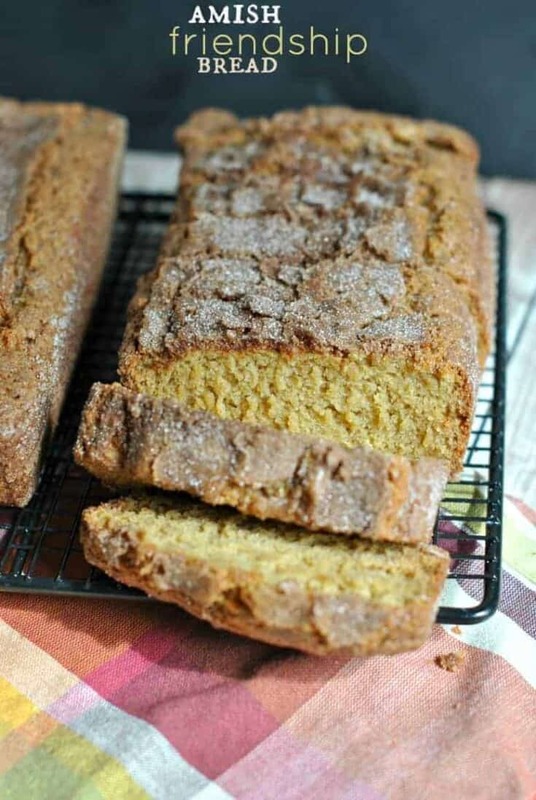 Delicious Amish Friendship Bread..with starter recipe below! WARNING: There is no pumpkin in the following recipe. I repeat, no pumpkin. I’m taking a small break (we’ll see how long it lasts)! This may very well be one of the first breads I have ever made. 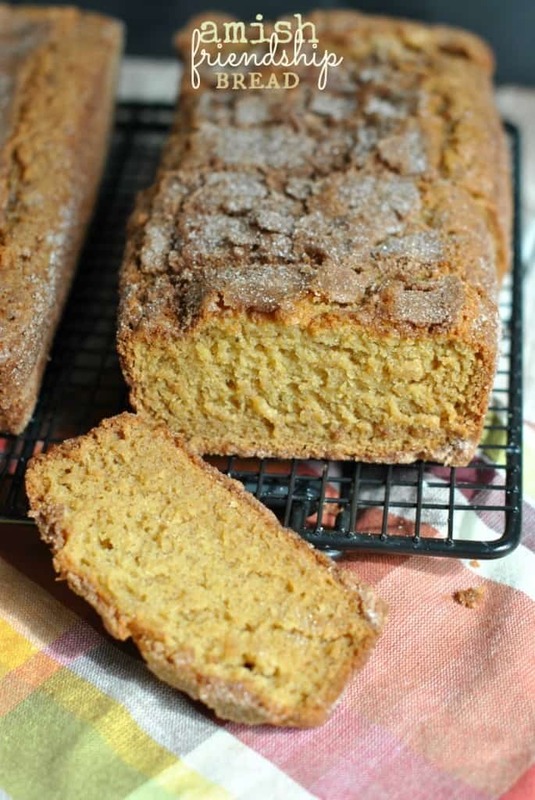 It’s a staple in our family, and there are usually several loaves frozen at any given time! I usually make a starter batch, and instead of giving my bags of batter away, I keep them (GASP!!) and when they are due to be baked, I bake all of them (usually ending up in 8 loaves of bread). Have you ever tried this bread? The crust is a thick, crunchy cinnamon sugar coating, especially if you generously coat it like I do before baking. I’m often asked for the recipe for this bread, so here ya’ll go! For the Starter: To prepare the starter batch, mix yeast with 1/2 cup hot water until yeast is dissolved. Add 1 1/2 cup hot water, 1 cup milk, 1 cup flour and 1 cup sugar. Mix until blended. Use whisk if needed. You now have enough batter for 4 portions. In three ziploc freezer bags, add 1 cup of batter to each bag. These can be given away or used immediately. In your bowl will be a remaining one cup of batter. You can use this immediately following the directions below. For the Bread: Okay, with your 1 cup of batter, add remaining ingredients (except the last two). Mix. Will be slightly lumpy, that’s okay. In two loaf pans, grease generously. I like to grease my pans, lay parchment paper on just the bottom of the pan, then grease again! After greasing the pan, sprinkle with a cinnamon-sugar mix. Divide batter between two pans then generously top each battered pan with remaining cinnamon sugar mix. This is what provides a nice crunchy cinnamon layer on the bread, very important! Bake in a 325 degree oven for about one hour. Cool about ten minutes in pan, then remove to cooling racks. Delicious served hot or cold (with butter of course)! Enjoy. For the remaining 3 bags of batter, here are your instructions: (I usually write these on the bag with sharpie) DAY 1- Day you make starter or receive bag (do nothing) DAY 2- Day 5- Mush bag DAY 6- Add 1 cup flour, 1 cup milk, 1 cup sugar to bag, Mush. DAY 7- DAY 9- Mush bag DAY 10- Pour contents of bag in large bowl, add 1 1/2 cup each of flour, sugar and milk. Measure out 1 cup into 3 ziploc bags (the cycle keeps repeating), With remaining batter follow instructions above for making bread. ENJOY! You are pure evil you know? 🙂 This is one of our favorite breads in our house. (I never give the starters away either…gotta love the freezer option:-) But I have never googled the actual start method because this bread is so addicting!!! And then you go and post how to make a start! Curse you!!! 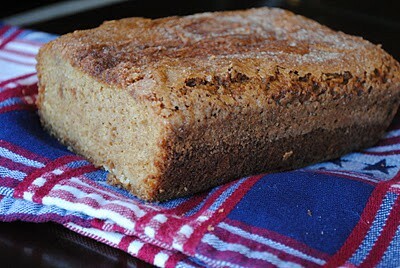 I’ve had Amish bread but never with a cinnamon/sugar crust. I can’t wait to try this…thanks 🙂 Don’t worry, I keep my starters too! yum! this reminds me of going to the amish market when i was little! Found you over at Sweet Peas and Bumblebees link up and so glad I did! Newest follower. I love this bread! We always called it Amish Friendship bread, as you make friends when you give it away… err, I guess when you keep the other starters for yourself and give the recipe away?? Either way, thanks! I was just talking to my family about this bread starter last month. Now I have a recipe to share with them! Thanks!! This is a really interesting recipe. I’ve never seen anything like it. 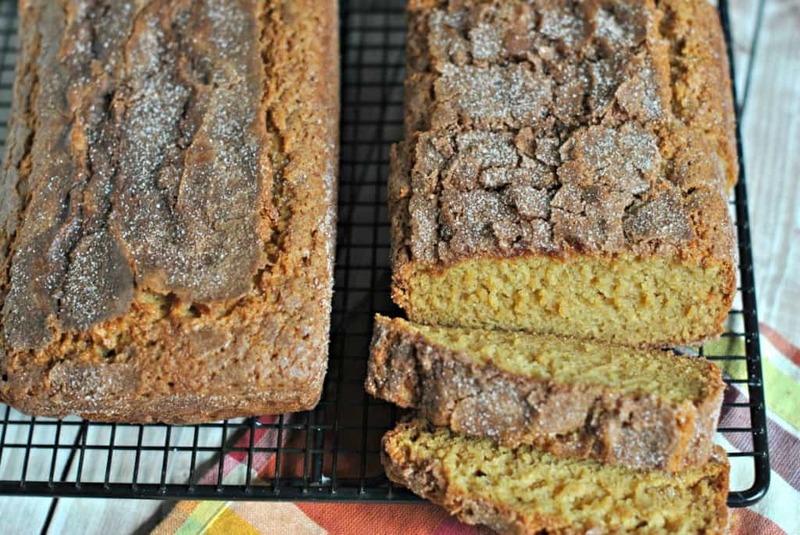 I love the color of the bread, and cinnamon with apples – you can’t go wrong with that! Looks yummy, especially with the vanilla pudding thrown in. Thanks for sharing on Sweet Indulgences Sunday. Hi! Just stopping by to let you know that your recipe was #2 on Sweet Indulgences Sunday last week. Hope you’ll stop by and share another recipe this week. So technically if you werent going to give any away couldn’t you make loaves with all of the other “starter” bags on the day you made them? You don’t have to feed that last 1 cup that is left you can just make the bread right away?? I make this all the time, but for the starter I just put 1 cup flour, 1 cup sugar and 1 cup milk. Also, I put crushed pecans on top with the cinnamon and sugar and it is delicious! My bread completely fell in the middle (and I mean like the Grand Canyon). We live in Colorado, so the altitude does affect some baked goods, but I’ve never had anything fall this badly. I was wondering if maybe putting all of the 1 c. sugar and 2 T. cinnamon split between the top of the two loaves was too heavy and made them fall, because quite a bit of the topping did not sink in and was just sitting on top of the crust after baking. Any ideas? When you say “generously top” them, do you split the entire 1 c. and 2 T. between the loaves, or do you have some left in the bowl afterwards? The topping does create a crust around the entire bread. I’m not sure why it sank in though…I always use the entire amount on both loaves. I do use some of the topping to coat the inside of the greased pans as well. Glad it tasted good, sorry I can’t be of more help! So this is basically a recipe from an Amish Friendship Bread Starter. (Which is not really Amish at all) It is really a good one. One that I have not had in a long time. Thank you for the reminder!! I love making these. I actually make them in small individual size loaf pans and mix them up. Some get white chocolate chips, some milk chocolate, some rasins, some a crazy mixture of everything. They freeze really well to, and make a great item to add to a packed lunch. Yum love this bread, but am from New Zealand and our yeast doesnt come in envelope size? what would the quantity of one of the be please? We always measure about 2 1/4 tsp. to 2 1/2 tsp. per envelope. Hope this helps. Made this bread today and like MrsSmith posted…my bread fell in the middle where the cinnamon sugar was…..only to sink to the inside and it didnt cook all the way through. Which I didnt know until I cut into the bread. But the outter part yummy. Any thoughts? Not sure why it would sink. Unless measurements were somehow mistaken or your oven temperature may be off? Sorry! The altitude DOES make a difference. I live at 6240 AMSL and add about 1 T. flour and reduce the liquid for every cup of flour. Perhaps this is why the bread fell in the middle. Bread pan size can make a difference as well, but you can adjust for that. I am curious about this and want to make it, but I have never baked using starters. Do the bags of starter stay in or out of the refrigerator. Thanks, this looks good and I want to make it. You can leave the bags of starter on your counter! Enjoy! You can also make the starter in a bowl. Keep it covered loosely and on the counter, stirring in place of mushing. I have been making this for years and you do not need a starter. Just make the recipe as directed and there is no change in the taste. I even go fat free and use all milk and no oil for a healthier version. They all come out great! I have also and it is just as good! I use all flavors of pudding in these. Add nuts, choc chips, raisins, really anything you want to add/. 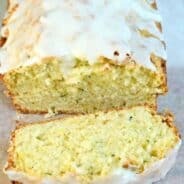 I have a good amish white bread recipe if anyone wants it and .. Its great I makes great bread I make 4 loaves week my boys love it and freezes well ..
Dorothy I would love your bread recipe! bydubois10@yahoo.com thanks! 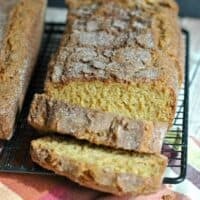 I would love the recipe for white bread if you happen to get this! Can’t wait to make this bread too!! Just seeing this..could I get recipe? Kpotter4358@gmail.com. Thanks! Mmm.my favorite bread for years!!! I too always have some in the freezer and I also keep and bake all of the starters,lol I end up with 12 loaves:) I made my own starter using the method you put down and it’s the ONLY one I recommend!!! Not using yeast never seemed right and I didn’t trust it! I never got to eat the bread bc I accidentally killed the yeast. This is my very first time working with yeast and I put too hot of water in the bowl. You should really make it clear for the novice baker not to use hot water. I usually freeze my starter then when I want to make a loaf I thaw and follow the recipe for making the bread, skipping the 10 days of proofing and it works perfect. I also change up the pudding flavor to get different breads! I used this exact recipe and made my starter months ago. I had one given to me around 15 years ago and I kept it for around a year. I cryer when I lost it!!! But I followed this recipe and it’s been great!!! I keep 3 of my starters and bake with them on day ten and I use one to keep it going. It really does get better and better to keep it going!! I make chocolate,vanilla,pumpkin.lemon with poppy seeds,egg nog. 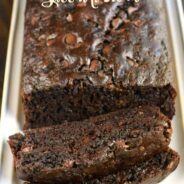 This recipe can be made without the pudding mix, it will just be less moist. I would add a couple extra drops of vanilla to make up for the missing flavor from the pudding though. I used to have a recipe for amish blueberry bread. Can you help me convert this to that? This is the only recipe I can find that has a crusty shell!! That was the best part!! The bread was AWESOME!!!!!!!!!! THANK YOU!! I wish there was a way to just make it, with enough “starter” for myself only, after awhile you run out of friends to give these to. That’s why I usually bake the entire starter batch (8 loaves of bread). They are perfect for freezing. Or they make a great gift to a friend! I love this recipe! A friend of mine gave it to me years ago. We are now gluten-free…can this be made using gluten-free flour (no wheat) instead of regular all purpose flour? Thanks. Do you use plain or self rising flour? I use all-purpose flour. Enjoy! THANK YOU for the starter recipe! I have maintained some starter for probably 10 years and have been worried a couple of times that I had neglected it too long. 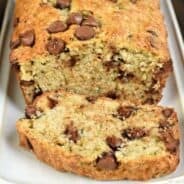 my daughter and husband gave dairy allergies, do you think I could substitute almond or soy milk for milk and what can I sub for instant pudding as it has milk in it. New to this dairy free thing. When you get too many bags of starter you can put them in the freezer. They keep indefinitely. When you take one out start directions for day 1. I’ve found that I get better results with the bag of batter if I pick the bag up everyday and squeeze it along the bottom. You may have to let some of the air out of the bag on the days after you feed it. Always use QUART size ziploc bags. If I want to make these in muffin tins, do you know what the difference in cooking time would be? I’ve not tried that yet! Let me know if you experiment with muffins! Aimee, I was wondering if you knew what the cooking time would be if I wanted to use a bunt pan instead of a loaf pan. My husbands Oma used to make this every Christmas, and it is a family favourite. Thanks so much for the recipe, I had lost mine! Was wanting to make loaves of bread for Christmas gifts! Looking forward to baking again. I used to add bananas, nuts, raisins! Have a wonderful Christmas! Why can you not use the sugar free pudding mix?? Thanks, been looking for the recipe for a while now. I’ve never tried freezing the starter, so I’m not sure, sorry! When you freeze them, do you slice and then just pull out slices and toast them? Or freeze as whole loaf? I freeze the whole loaf, then thaw on counter before serving.